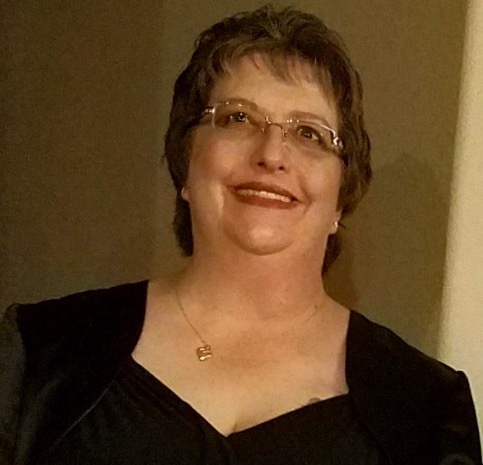 Jennifer Anne Hansen, 50, of Shelley, Idaho, passed away April 30, 2018, during a short stay in Salt Lake City, Utah. Jennifer was born October 24, 1967, in Idaho Falls, ID to Dennis and Kay Leaf. She was baptized at First Lutheran Church in Idaho Falls, ID and throughout her childhood she was active in Sunday School, Luther League, and Confirmation at First Lutheran. She attended school in Idaho Falls and graduated from Idaho Falls High School in 1986. Jennifer attended Idaho State University in Pocatello, ID and later received her Bachelor’s Degree in Accounting from University of Phoenix. Jennifer married Adam Gott on December 23, 1987 in Idaho Falls. She lived in Alameda, CA while Adam was in the Navy. She later moved back to Idaho Falls. To this union were born two children, Joshua Gott and Jeremy Gott. They later divorced. She married Kyle Hansen of Shelley, ID on June 2, 2001, in Las Vegas, NV. To this union were born two children, Julianna Hansen and Jakob Hansen. She moved to Shelley after she married Kyle and remained in Shelley until she passed. While living in Shelley, Jennifer was baptized on January 23, 2016, into The Church of Jesus Christ of Latter-day Saints and actively served in the Mountainview Ward. She was Secretary of and a Teacher for the Relief Society; a Visiting and Primary Teacher; a Young Women’s Leader; and an Assistant Girls Camp Director. Jennifer loved working with and serving people. She worked in the banking, finance and administrative profession. Her last job was with Red, Inc., a subcontractor for the INL. Jennifer enjoyed all family activities and loved her children and her family passionately and unconditionally. She remained positive at all times even vie her four year cancer journey that ended with her breast cancer metastasizing to her brain. She enjoyed arts and crafts, china painting, cats, bowling, camping and target shooting. She was also a firearms activist. Jennifer is survived by her husband Kyle Hansen; sons Joshua Gott, Jeremy Gott, Jakob Hansen; daughter Julianna Hansen; parents Dennis and Kay Leaf; sister in Denton, TX Trina (Leaf) McPherson and her children Madison and Nicole; brother Daryl Leaf and his wife Tiffany and their children Braden and Kendan; sister-in-law Jamie Wellard (husband Ryan) and children Kaesia Bond, Tao Bond, Devon Wellard, Kayla Wellard, and Ryan Wellard; and numerous Uncles, Aunts and cousins. A service will be held on Wednesday May 9, 2018, at 2:00 p.m. at Shelley South Stake Center, 675 South Milton, Shelley, ID 83274. In lieu of flowers, please consider a contribution to the family of Jennifer Hansen to help with medical expenses. Contributions can be made to Kyle T. Hansen, c/o Westmark Credit Union.